Ulaanbaatar - Terelj National Park - Gobi Desert - Kharakorum - Ulaanbaatar. our trip will start with excursion in Ulaanbaatar, capital of Mongolia. At this tour there are endless possibilities for hiking and trekking through gorgeous hills and amazing cliffs in Terelj area of Gorkhi Terelj National Park. During this tour you will see the Gobi desert that is a treasure chest of fossilized dinosaur bones and eggs. The Gobi is a land of steppes and mountains and the second biggest desert in the world. There you can see the Eagle valley; you will experience the lifestyle of Gobi desert nomads. At the end of your tour you will have a chance to visit Kharakorum - the ancient capital of Mongolia. Arrive in Ulan Bator. Meet and transfer to the Hotel. In the afternoon, sightseeing in Ulan Bator, including the "Gandan Monastery", and the "Natural history museum". Evening concert of Mongolian traditional music and dance. Welcome dinner at the restaurant. Overnight at Hotel. Free time, horse riding. This mountain forest is a protected area, sheltering bears, musk deer, elk, wolves, foxes and badgers. Visits the tortoise rock and to the nomadic tented camps. Some trek to the tortoise rock. Overnight in Gers. Full board. Transfer to Ulan Bator airport. Fly to "Dalanzadgad" (there are only two domestic flights a week on Tuesday and Friday). In July and in August (there are every day directly flights to South Gobi desert). 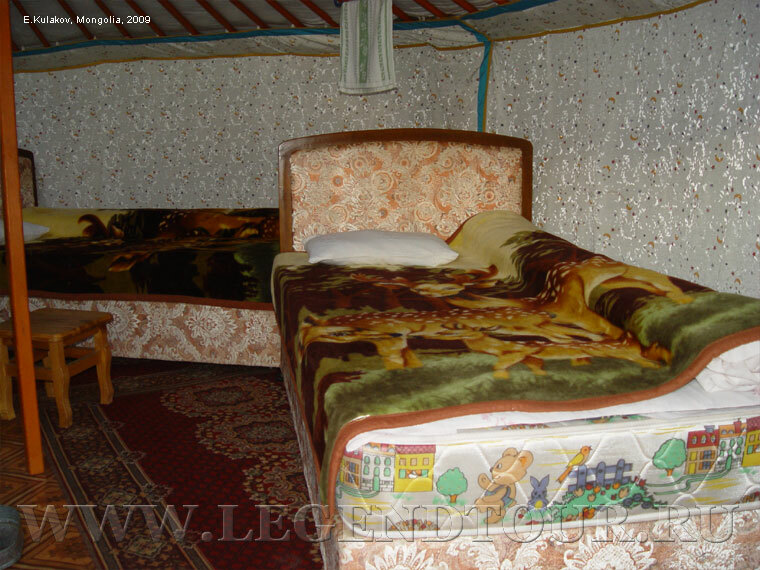 Arrive and transfer to Gobi desert Tourist Gers Camp. In the afternoon, drive to "Bayanzag", archeological finds of the Paleolithic era were found here as well as a complete dinosaur skeletons, eggs, and hatchlings, of the cretaceous period. Free time to explore the "Cemetery of Dinosaurs". Return overland to overnight in Tourist Gers Camp. Full board. Arrival to the tourist camp. Accommodation at the tourist camp. After breakfast visit Ovgont temple at the Khogno Khaan mountains. In the afternoon visit Nomads family, explore the surrounding area. Full board. Accommodation at the tourist camp. Visit Erdene Zuun monastery - the first Buddhist monastery in Mongolia. 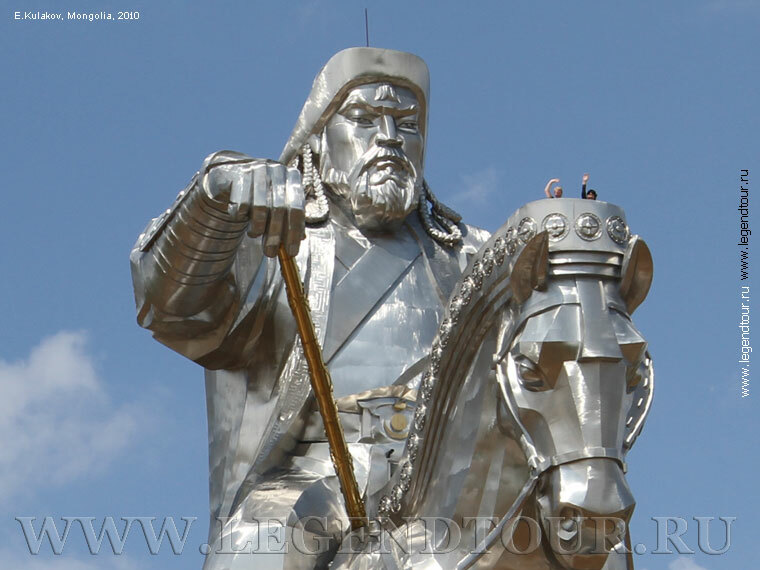 It was built by the initiative of the most influential Khalkha lord Abtai Khan, in 1586 on the spot where was Kharkhorin, the famous capital of the Mongolian Empire of the 13th century. In the afternoon visit Nomads family (observe a nomadic way of life and tasting milk products, including airag. Overnight at the tourist camp. Full board. Explore the waterfall area. Box lunch. Drive back to Kharakorum. Accommodation at the tourist camp. Overnight at the tourist camp. Full board. Breakfast Departure for Ulaanbaatar. Lunch - box. Arrival to UB. Rest. Dinner at the restaurant of the city or at the hotel. Overnight at the hotel. Full board. Add 15% to the above rates in the period of the Naadam Festival.